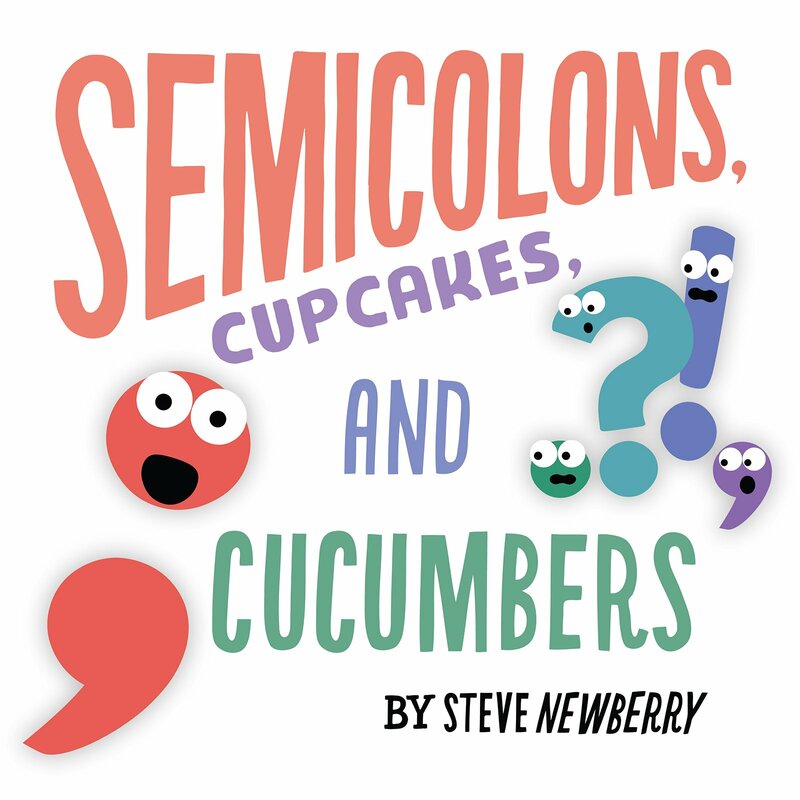 We've been reading Semicolons, Cupcakes, and Cucumbers by Steve Newberry and loving it. Who knew that a book about punctuation could be so much fun? Semicolons, Cupcakes, and Cucumbers has been on our bookshelf for a few months now, but it wasn't until today when we were reading it together again that we were inspired to write our own page from the book. I won't give away the brilliance of the story, but basically each of the characters speaks in sentences using their type of punctuation. 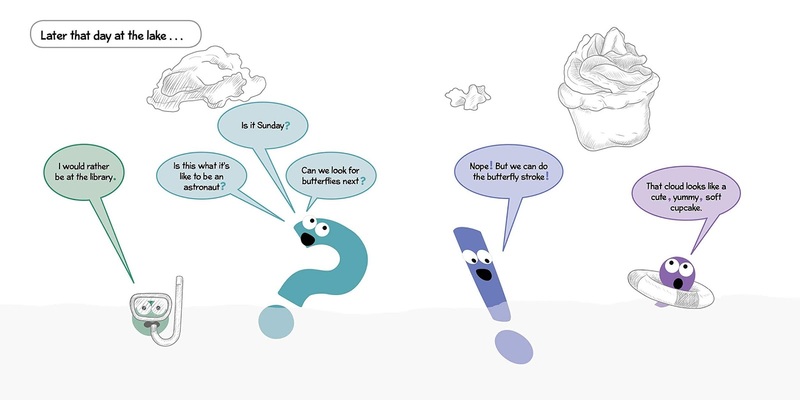 So we created our own pages, with any chosen theme and wrote a speech bubble for each of the four main characters using their punctuation. This was the perfect activity for Ethan as he has learned about each of these punctuation marks at school this year. So it was a great review of the period (full stop), question mark, exclamation mark and comma (and an introduction to the semi colon). Ethan is crazy about football, so he decided that his page would have a sports theme. Ivy is more about process at this age, and just had some fun drawing different punctuation marks and doing some mark making. Ethan drew his punctuation characters very carefully, even adding their little eyes and drawing the speech bubbles in matching colours. Then he wrote a speech sentence for each one. Question mark says "What team is playing?" Period says "I like football." Exclamation mark says "I hope England wins!" and Comma says "I love football, rugby, and basketball." 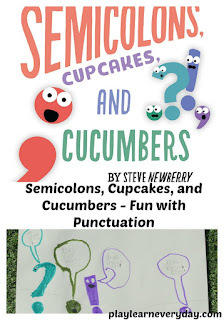 It's a very simple and fun activity to go along with the Semicolons, Cupcakes, and Cucumbers book and great for reinforcing punctuation use.